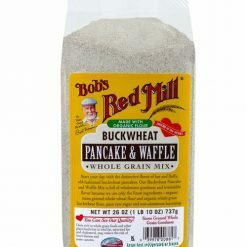 Bob’s Red Mill Buckwheat Pancake Mix is made with organic buckwheat and whole wheat flours, non-aluminum leavening, and raw cane sugar. 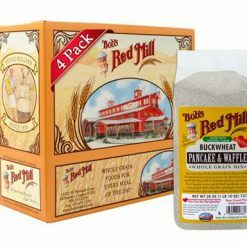 We hear this mix brings nostalgic memories of buckwheat pancakes from our customers’ childhoods. 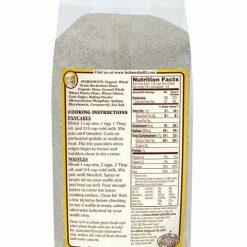 From your pantry, you’ll just need to add 1 egg (or 2 for waffles,) 1 Tbsp oil (or 2 for waffles,) and 3/4 cup cold milk. 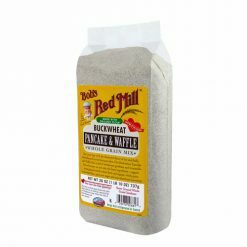 One package makes about 57 four-inch pancakes.